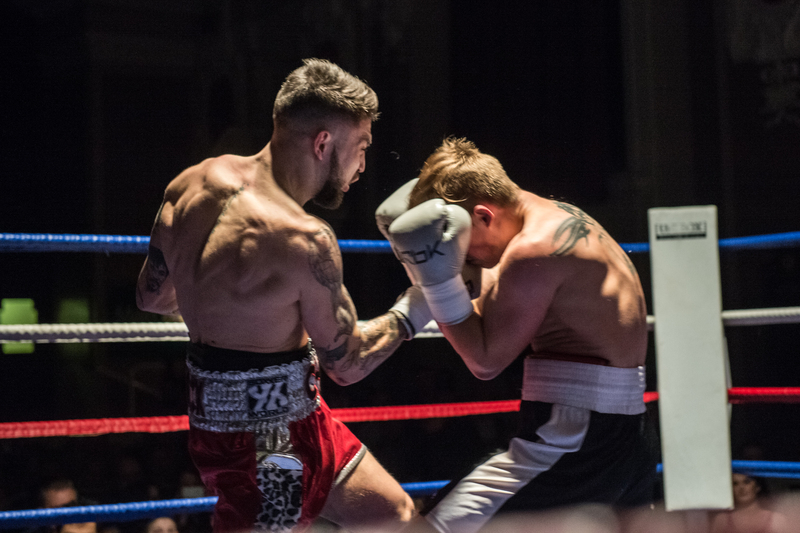 Over 160 friends and fans made the journey to Walsall Town Hall to support Nottingham’s Chad ‘2 Slick’ Sugden when he made his professional boxing debut on Saturday 19 March. In a textbook performance, the 21 year-old Suggy’s Gym fighter defeated Lithuanian Deividas Sajauka by unanimous decision in a Super Middleweight contest over four three-minute rounds. Weighing in comfortably at 11st 13lbs on Friday, Chad said he was in the best form of his life and had no doubts about his decision to make the switch from kicks to punches. Dominating the action from the first round to the last against Deividas, who was previously unhurt and unstopped in more than 26 fights, Chad impressed the capacity crowd with his patience and perfect punch selection. Among those quick to offer congratulations after the fight was Nottingham-based pro boxing manager and trainer Scott Calow, who described it as one of the best debuts he had ever seen. 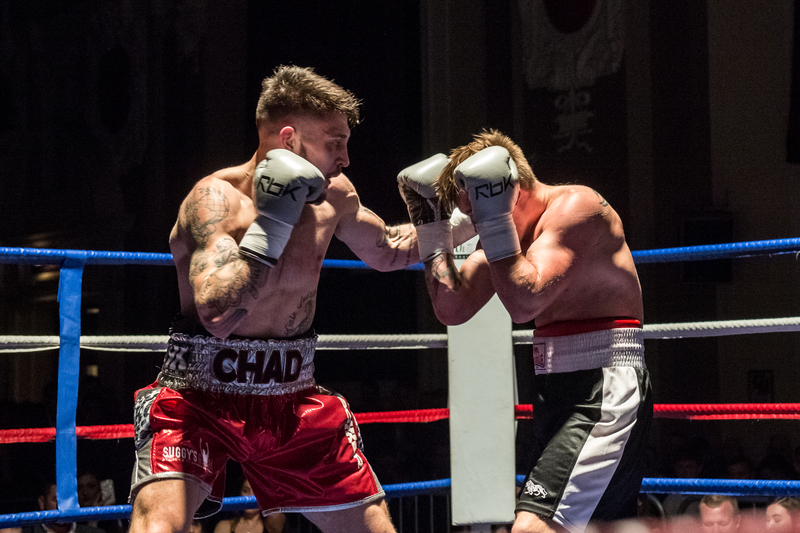 With his first victory under his belt, Chad will be wasting no time and already has his sights firmly set on the second, this time in a match-up over six rounds at Walsall Town FC on Saturday 14 May. “His opponent is still to be confirmed but after this performance it will be interesting to see who steps up,” added Dean. Tickets for the next fight are on sale now, via the hotline 07816 840920 or from Suggy’s Gym, priced £60 ringside with two-course meal or £30 standard unreserved. Previous Post On top form for tomorrow!